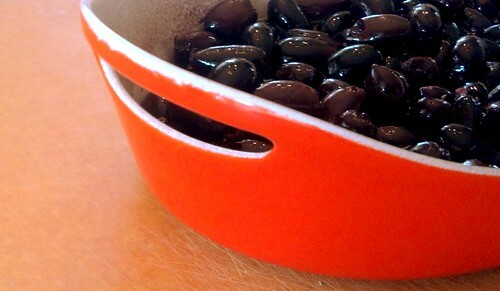 Roasted Olives… and a new CSA! 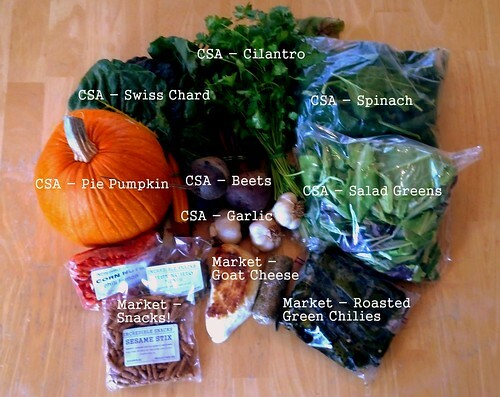 Last weekend I signed us up for a new CSA – one that will ultimately be closer to our new home. This CSA is through Sleeping Frog Farms, and so far our first pick-up has been successful! They have sign-ups quarterly, so right now we just started the “Winter” quarter. Although we just did our first pick-up today, I’m already liking this CSA a little more than our previous one simply because it’s located in the Sunday Farmer’s Market at St. Philips Plaza, so there are a lot of vendors to visit and there’s more than enough fresh produce to select from. The St. Philip’s Farmer’s Market is the largest in Tucson, with (according to their website) nearly 70 vendors. Roasted Green Chili Peppers – being roasted on site! Toss all of the ingredients together in an oven safe dish. 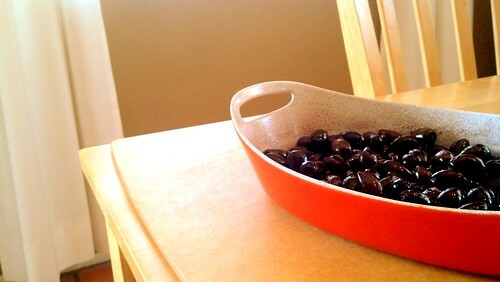 Bake the olives in the oven for about an hour, stirring them every 20 minutes or so. 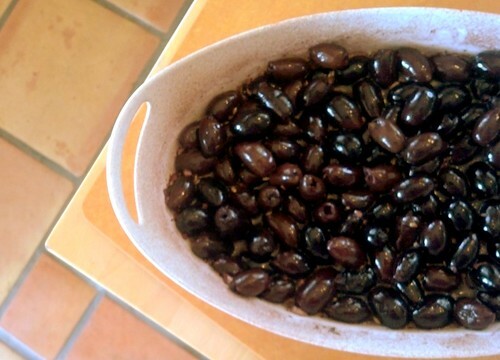 You want to bake them until most of the wine has thickened/evaporated (although there should be some liquid in the bottom of the dish so that the olives don’t burn). That’s it! Once they’re out of the oven, I let them cool to room temperature, and then dump them back into the plastic container I brought them home from the grocery store in. They should keep in the fridge for a couple of weeks. I never thought of roasting olives!